What a night! 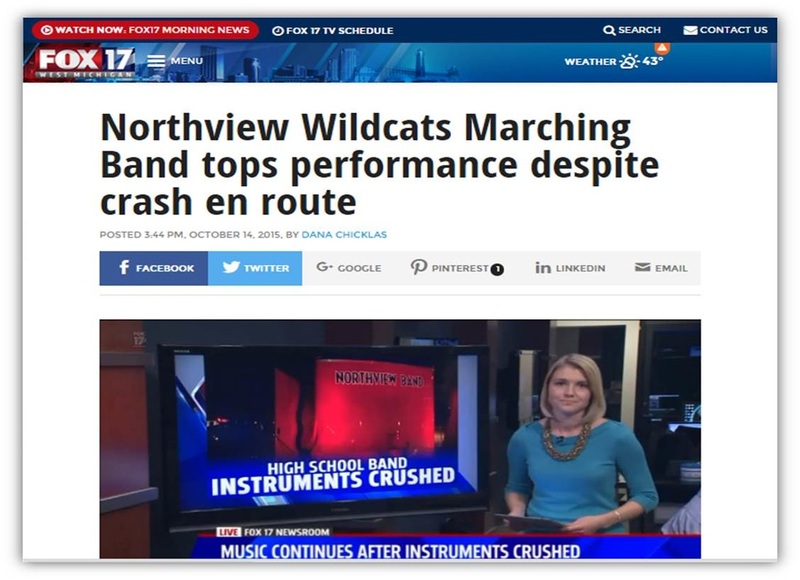 As you may or may not know, we had an incident with one of our band trailers on the way to the competition Tuesday night (10/13/15). Thankfully, no one was physically injured or scratched, and no other vehicles were involved. The vehicle pulling the trailer, the trailer itself, and some equipment was damaged. 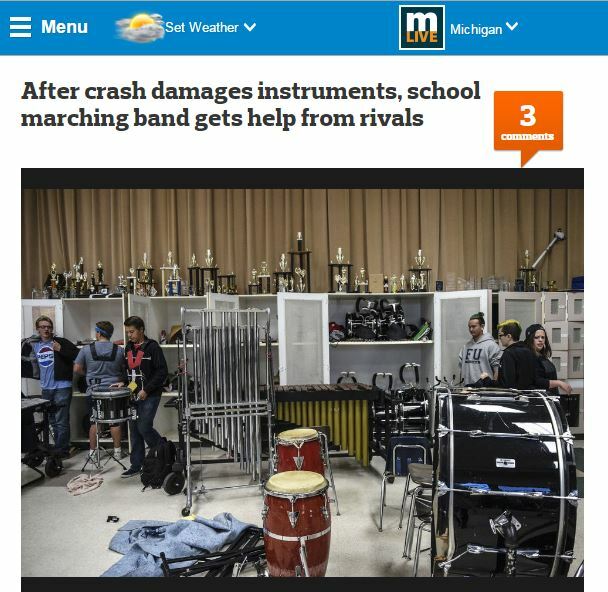 Thankfully, all personal instruments were not damaged! At that same time at EKHS, the students, chaperones, and staff worked frantically with the amazing people at the festival. EK parents and several other bands immediately offered more equipment and resources for our students to use, just so our students could have the most successful night possible! SO many to thank -- but if you see anyone from East Kentwood, Kelloggsville, and especially the Caledonia bands -- please thank them for all their help! All that said, our students stood strong in the face of the challenge -- without hats, plumes, gloves, gauntlets, and some using other people's instruments/equipment, no real warm-up, emotions, etc., they had a GREAT SHOW! Despite these challenges, they earned the 40th straight 1st division rating! Now a few days later, with the help of parents, students, and staff, we've repaired many instruments and received numerous offers of trailers and instruments to borrow!!! We're still working through the insurance process to see what will be covered, but with this outpouring, we WILL perform the rest of the season!! And I proudly say -- WE ARE NORTHVIEW!! !